FATJOE is one of the largest Outsourced SEO providers in the world. We’ve been established and active for more than 6 years. We’re a solid partner that’ll always be around. 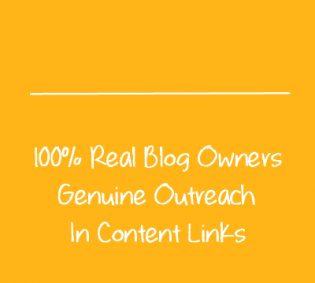 We have à la carte Content and Link Building Services that are designed to be resold. You’ll be able to sell our services like for like with a markup or use as part of a large SEO campaign. 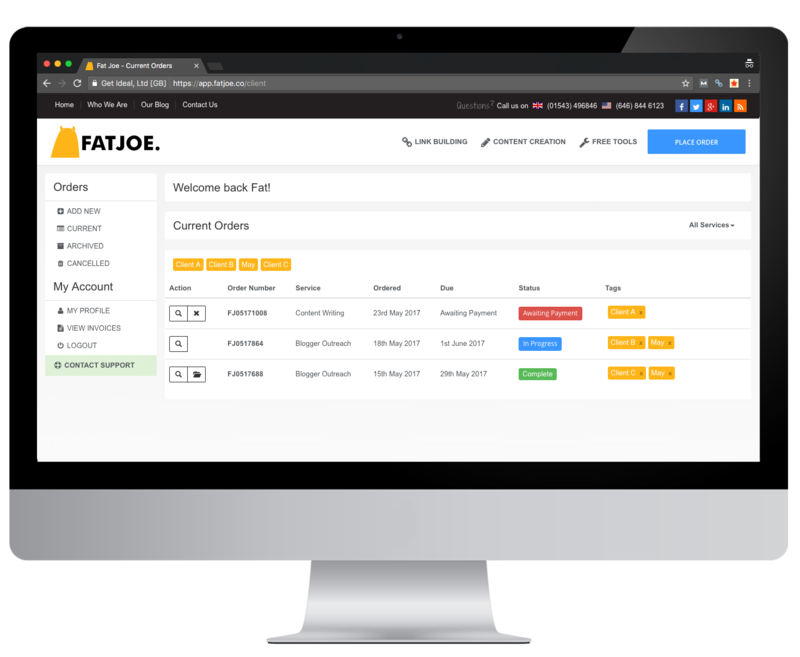 Using our custom designed dashboard, you’ll be able to place, track and manage orders really easily. You can tag orders, repeat them and you’ll get access to all of your invoices in one place. You can export link reports directly from within each order in your dashboard. They’re unbranded Excel and PDF reports that you can pass directly onto your clients if you wish. Our prices advertised are already designed for Agencies and White Label SEO Resellers, however, spend more than £10,000 / $14,000 monthly and you’ll get a further 10% bulk discount. Get access to all of our handy free tools including one of the worlds most widely used online Rank Trackers available on Google Chrome, IOS and Android. Our support is top notch too! Tracking and managing all of your orders couldn’t be simpler with our easy to use dashboard designed for White Label SEO Resellers. 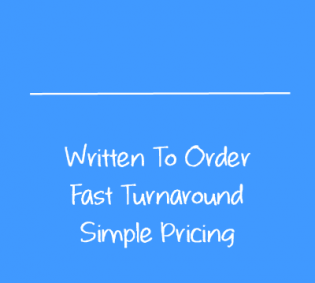 You can place orders within seconds, tag them with your client’s names, reference numbers or whatever you like. You’ll get to see every link or piece of content completed in your order. You can export unbranded link placement reports and you can even repeat orders entirely within a few clicks which is designed to save you time on repetitive campaigns. 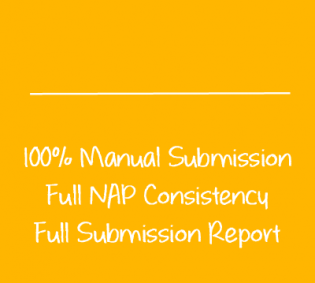 What is the FATJOE White Label SEO Reseller Program? 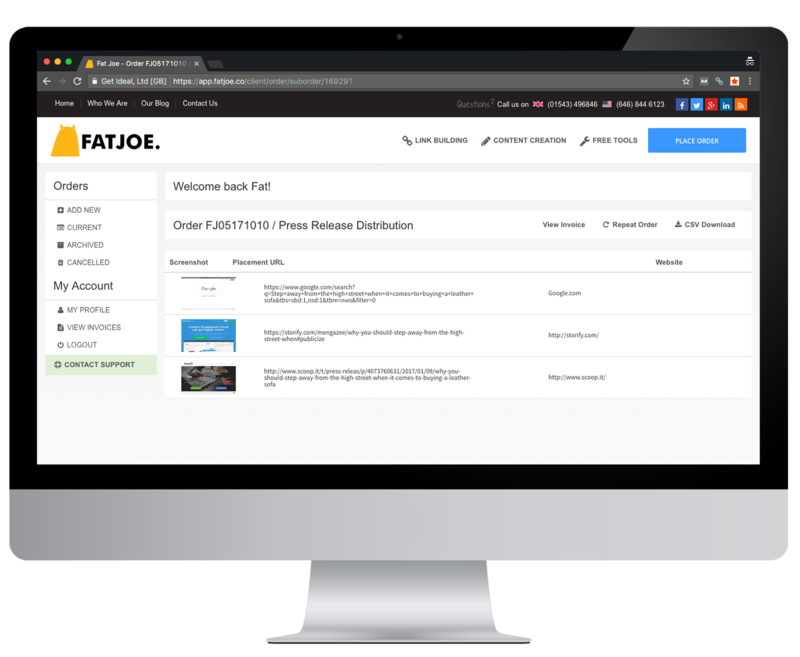 The FATJOE SEO Reseller Program is designed for SEO Agencies who want to use and resell some or all of our services to their clients either like for like or as part of an SEO campaign. 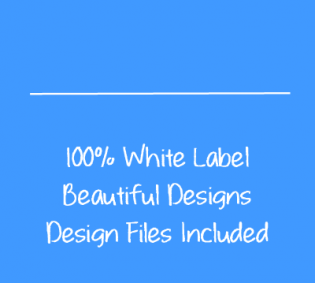 How much can I resell your SEO Packages for? You decide. That’s the beauty of our SEO Reseller service. We don’t dictate how much to sell for or what you do with our services. You’ll have complete freedom to sell any of our services at any price point you choose! What's the FATJOE support like? Pretty incredible! We have support ninjas on hand almost 7 days per week. Our email support is exemplary and you’ll always get a response on any of your questions. What happens if I'm not happy with a service you have delivered? Not even SEO ninjas can be perfect but, if we’ve messed up, we’ll fix it, no questions asked! That has been our policy since day 1 and we now even offer a 100% money back guarantee on your first order for any of our services. Check out the details of the guarantee on each service page.